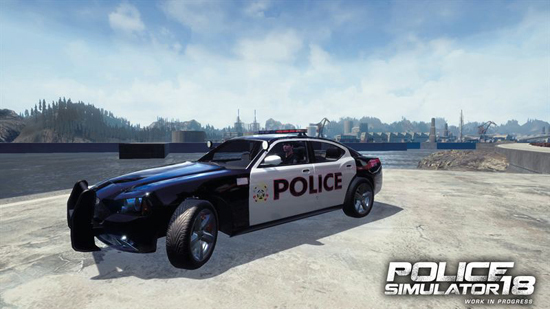 Dazzling blue lights, high-speed emergency drives and exciting investigative work: Last August publisher astragon Entertainment and Portuguese developer Big Moon Interactive first announced a new police simulation game, which will let players experience the exciting day-to-day police work of a real US police officer, under the working title Police Simulator – Law Enforcement. 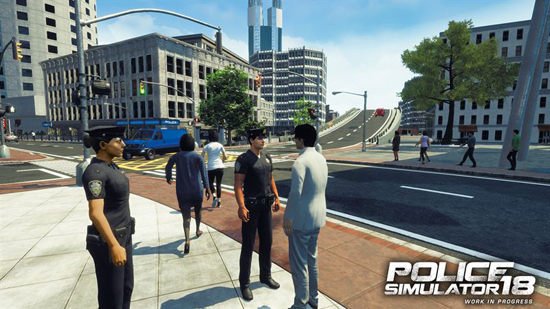 Today, astragon is very happy to show some first screenshots of the game which will be released as Police Simulator 18 in retail and as digital download at the end of 2017. 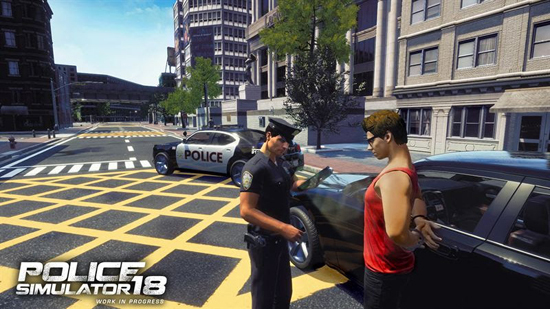 In Police Simulator 18 the player will slip into the role of a real US police officer – either male or female – and discover the interesting challenges and varied tasks that lie waiting for him in the streets of the sprawling US city of Loston Bay. 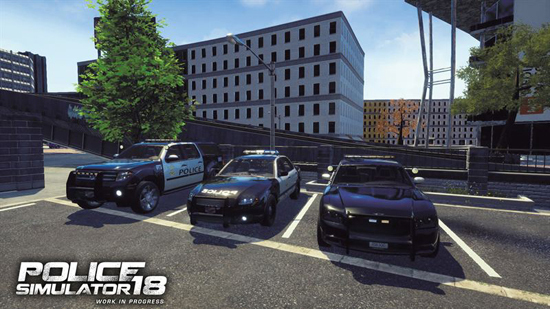 The player can choose to go on patrol through three different city districts either alone in the game’s single player mode or together with a friend in the cooperative two-person multiplayer mode. 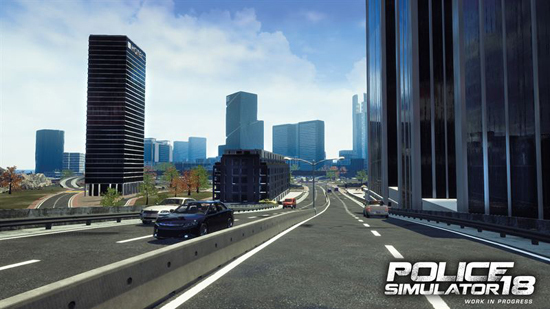 The extremely expansive - and thanks to the use of the Unreal Engine 4 very lifelike – metropolis can be freely explored by the player either on foot or in one of three distinct patrol cars. 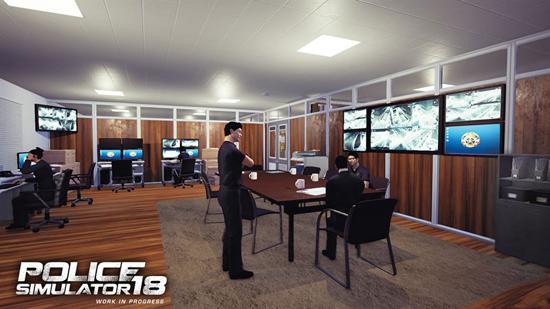 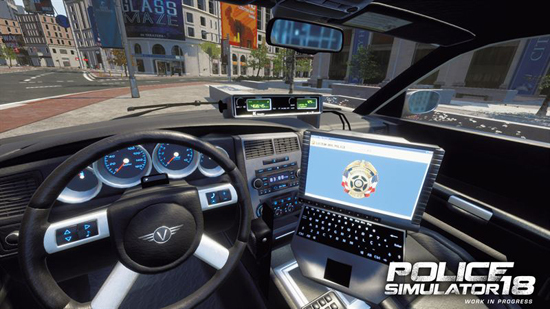 In addition to these police cars with their fully functional cockpits the virtual cop will of course also be able to use a broad range of authentic police equipment such as safety vests, handcuffs, flashlights, firearms and more. 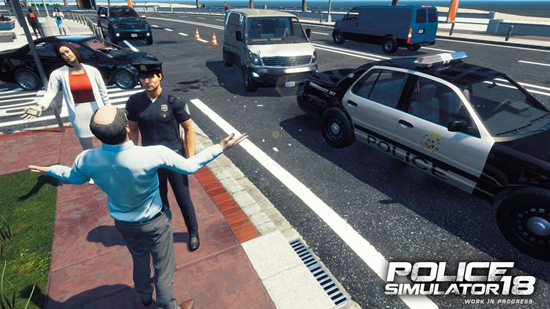 Police Simulator 18 will be released for PC at the end of 2017. 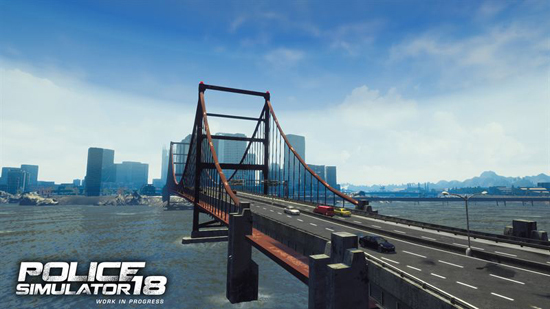 More information about the game will be coming soon.